Just a third of the $100bn [approx. €86bn/£78bn] tax that companies dodge in poor countries annually is enough to cover the bill for essential healthcare that could prevent the needless deaths of eight million mothers, babies and children, Oxfam revealed today as it launched a hard-hitting film illustrating the human cost of tax avoidance on the world’s poorest. Experts estimate that $30bn [approx. €25.8bn/£23bn] is needed each year to pay for basic healthcare such as vaccinations, midwives and diarrhoea treatment that could prevent an average of 7.8m children and 210,000 women dying in 74 countries with large numbers of people living in poverty. Jim Clarken, Oxfam Ireland’s Chief Executive, said: “Tax dodgers may not be literally stealing medicines from the pockets of the poorest but they are depriving poor countries of billions that could be invested in healthcare. “Oxfam works in some of the poorest countries in the world and sees the impacts of tax dodging every day. For instance, we work in Tanzania which has an annual health budget of just €17 per person. Every medicine that is not bought for the lack of government funds due to tax dodging affects thousands of men, women and children across the world. “While corporate tax avoidance strips developing countries of vital funds needed for hospitals, millions of the world’s poorest people are missing out on basic medical treatment that could save their lives and help them escape hardship. There can be no excuse for delaying tough action against tax dodging. “As the EU tax transparency process is at a standstill, the Irish and UK governments should lead the way in helping to ensure companies pay their fair share of taxes everywhere they do business. “Ireland should agree legislation with its EU partners to ensure that multinationals publically report on a country by country basis where they make their profits and pay their taxes. “Making this information public will give both policy makers and the public the opportunity to understand how a country’s corporate tax system is actually operating, and provide them with the information to review and change it. Oxfam is urging the UK Chancellor Phillip Hammond to use next month’s Budget to commit to implementing tougher tax laws for British multinationals, including those that operate in developing countries, by the end of 2019. As movement towards an EU tax transparency deal has stalled, it is calling on him to push ahead and build on the leadership some UK companies have already shown. More than a year since the Government passed legislation to enable the introduction of comprehensive public country by country reporting for UK-based companies and nearly two years since the last Conservative government agreed the case had been made for the change, it is still no closer to being a reality. Poor countries are twice as dependent as rich countries on corporate tax revenue as a proportion of the money they have available to buy medicines, pay nurses and pipe clean water to people’s homes. There is evidence to show that when poor countries increase their tax revenue – in particular from corporate and income tax – they spend more on healthcare, leading to healthier populations. Greater tax transparency would make it easier to verify whether companies’ tax bills are in line with their real economic activity in every country where they do business – and to hold them to account if not. However, until these public reporting requirements are mandatory for all large businesses, widespread tax avoidance will continue to deprive governments rich and poor of revenue needed to provide essential services and tackle poverty. View and/or link through to the film here. The announcement in today’s budget an increase of €13 million to Ireland’s Overseas Development Aid (ODA) budget is a positive step but a clear plan is still needed on how Ireland intends to meet the 0.7% target in ODA spending, Oxfam Ireland said today. Oxfam Ireland also welcomed the progress made in terms of equality and gender proofing as well as the decision to roll-out a public consultation on reforming Ireland’s corporate tax regime. Jim Clarken, Oxfam Ireland Chief Executive, said: “Last year, Ireland’s expenditure on its overseas development programme represented just 0.33% of GDP, less than half of the agreed UN target of 0.7%. “We welcome the announcement in today’s budget of an increase in ODA and we are encouraged by both the Taoiseach’s and Minister Coveney’s stated commitment to reaching the UN target. We now look forward to Ireland producing a tangible roadmap and timetable detailing how this will be achieved. Oxfam recognised the government's progress in the area of tax reform. “We welcome the announcement of a public consultation process to review Ireland’s tax code and hope this can build on and enhance the findings from the recent report undertaken by Seamus Coffey into addressing corporate tax avoidance which must be addressed for the benefit of both this country and the world’s poorest nations," said Mr Clarken. 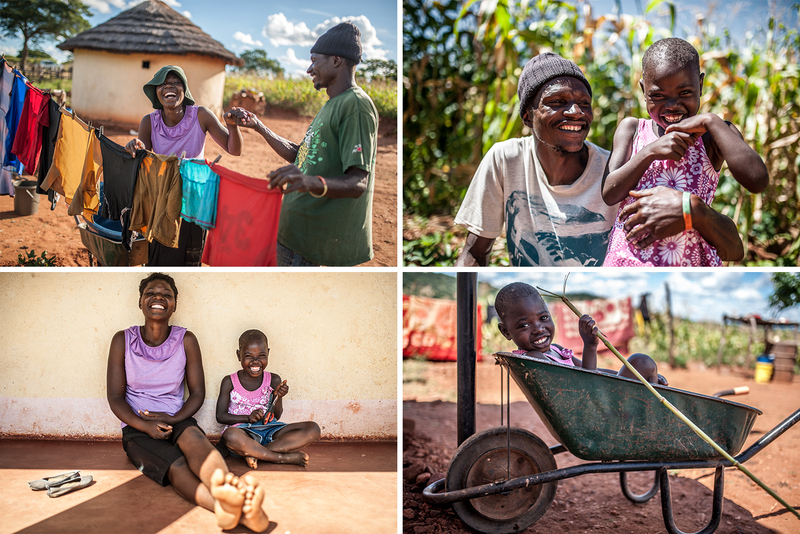 For families in many parts of the world household tasks such as laundry, cooking, cleaning, collecting water and caring for dependents take a huge amount of time and energy. Limited access to time-saving equipment, public infrastructure and services exacerbates this situation. For women, domestic and care work is often heavy, inefficient and unequally distributed. Women globally spend, on average, more than twice as long as men on unpaid work – that can mean as much as five hours per day on household tasks like laundry and cooking, and on caring for children and family. It can mean less time spent learning new skills, earning money or taking an active role in the community. This limits women’s choices and undermines efforts to achieve gender equality and overcome poverty. Oxfam’s We Care initiative aims to change this. Care has long been considered the responsibility of women. As a result, providing care falls disproportionately on their shoulders – limiting women’s time to learn, to earn or to take part in political and social activities of their choice. This is an issue in every country; however, the effects of unequal care are more extreme in poor communities. 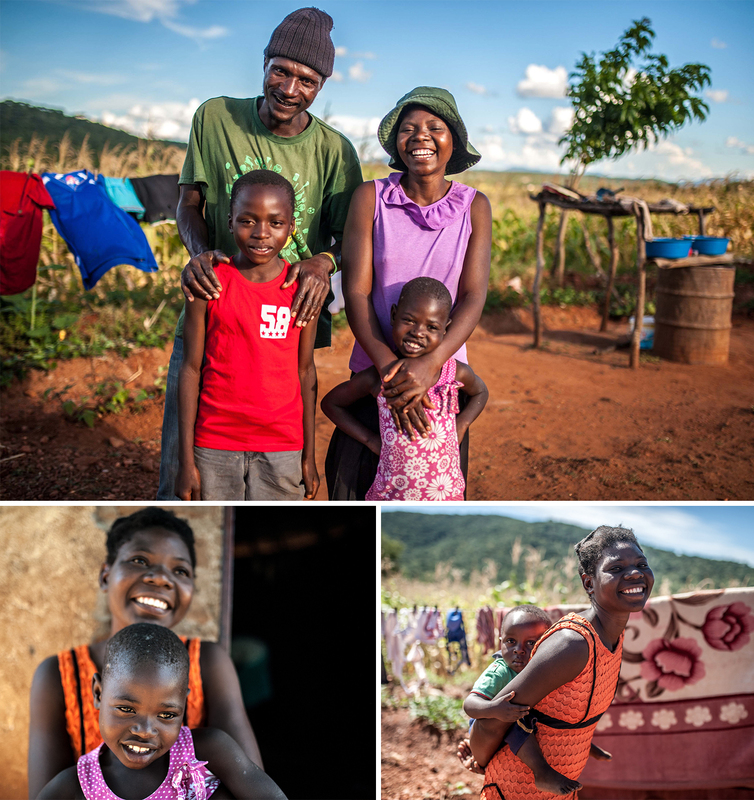 Tasks such as laundry and cooking can take most of the day when there is limited access to water and fuel, let alone washing machines or stoves. Drivers of poverty, such as lack of services and exposure to disasters, increase the demand for care work – preventing women’s empowerment and trapping families in poverty. Ulita Mutambo said: “We started the ‘We Care’ programme in 2014, that’s when things changed for the better. At first my husband did not help me at all. I would do all the work on my own, carrying firewood from the mountains, fetching water from the borehole which is far from here. Things got better when he accepted to join the programme and started helping me. Now the work is lighter. “The chores that have to be done are laundry, fetching water, cooking, bathing the children, as well as working in the fields. When I had just got married I would do all the work, my husband would only help now and then. Now we help each other. 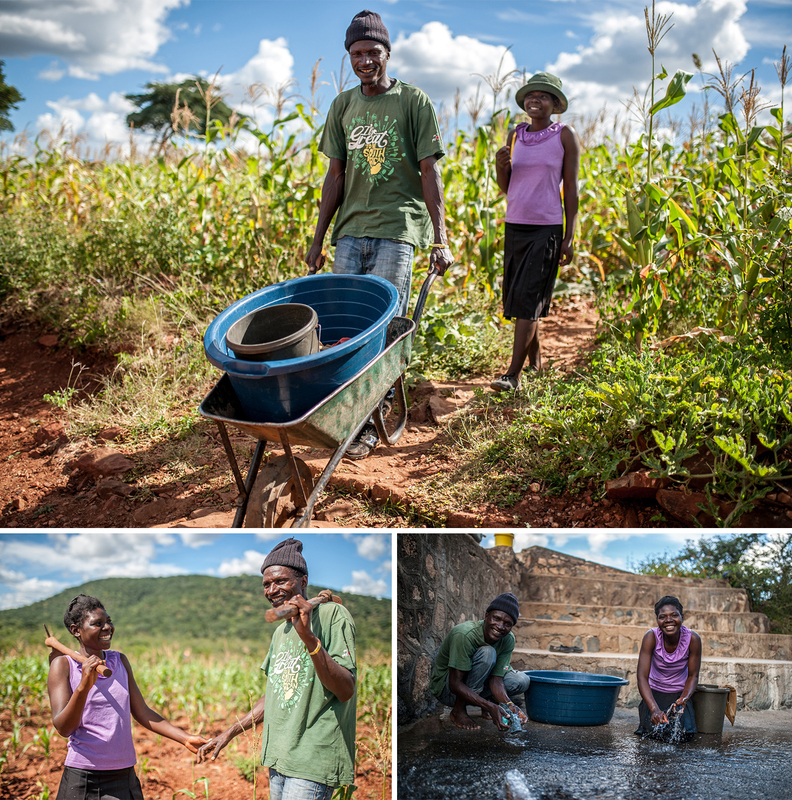 While I do the washing, cooking or sweeping, my husband goes to fetch water. After that we go together to collect firewood. Getting help is good because now I get time to rest. Before we joined the programme I would never have time to rest. The members of Coldplay have been among Oxfam's most high profile and vocal supporters of the last decade. The band have used their worldwide success to help Oxfam campaign in over 50 countries. As they set off on their Head Full of Dreams world tour, Coldplay again invited Oxfam to join them, including Saturday’s gig in Dublin. 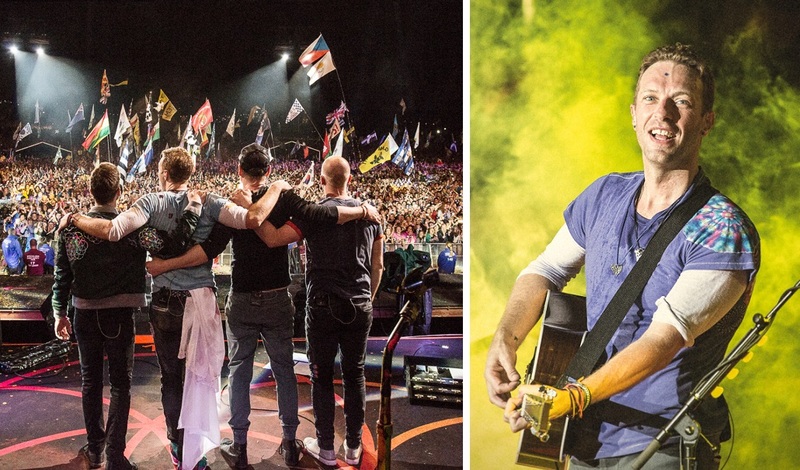 So we’ll be there in Croke Park, asking Coldplay fans to join together in solidarity with some of the most vulnerable people on the planet – those people displaced by conflict and disaster. Because people that have been forced to flee often have a head full of dreams too, but for different reasons. They often leave with little more than the clothes on their backs, but they carry with them hopes for a better future for themselves and their families, safe from terrifying natural disasters, extreme hardship and brutal wars. 65.6 million people have fled conflict and persecution in countries such as Syria, South Sudan and Yemen. This is the highest figure since the Second World War. The greater number of them are displaced within their own countries, rather than refugees crossing international borders. Almost 20 million more have fled environmental disaster. Across the world, displaced people are facing incredible odds. For example, in Syria, 11 million people have been forced to abandon their homes, and millions more are in desperate need of help. After six years of violence, many are in need of medical treatment and other support. This includes people like Mariam Bazerbashi. When continuing violence made her home in Damascus too dangerous, Mariam travelled for seven days to Presevo in Serbia with her children. Mariam, 29, in Preševo, Serbia after escaping from the conflict in Damascus with her two sons Ali*, 7, and Abbas*, 4. Ali suffer from muscular dystrophy and can’t walk. Mariam’s husband is still in Syria. (*Children’s names have been changed to protect their identity.) Photo: Pablo Tosco/Oxfam. But it doesn't have to be this way. We have been providing support to more than 6.7 million people in conflict-affected countries in the past year. We are working on the ground in countries like Syria, South Sudan, and Yemen to help displaced families with immediate basic needs such as clean water, shelter, food and work – but we need to uphold our commitment to welcome and protect refugees and immigrants here too. As well as working to give practical support to people forced to flee, we have been campaigning for changes in the law here, to help displaced people in Ireland and the UK. Strict rules are forcing refugee families to live apart, trapping them in different countries to their loved ones and making it harder for them to be brought together. These rules target vulnerable people who are seeking safety after fleeing unfathomable violence and loss. We're calling on global leaders – including the Irish and UK governments – to do more to ensure that people forced to flee can do so safely and legally and to reunite families torn apart. We can't turn our backs on families who have fled violence and persecution. Together, with your support, we'll keep pushing until refugees get the protection and support they need. By taking our Right to Refuge: Keep Families Together action, you’ll be helping us put public pressure on our governments to do more to help people find safe and legal routes to escape from war and persecution, and help families torn apart be united and find safety together. That is why Oxfam is asking Coldplay fans in Croke Park and beyond to stand together in solidarity and support of those fleeing to safety. Together we’ll show that they are not alone, and make sure world leaders know that we won’t stand by while people suffer. We will stand as one. So far 30,000 Coldplay fans have joined us by signing up and wearing their Stand As One Coldplay tour wristband to show their support to those in Syria and all over the world who are fleeing conflict. Whether you’re at the Coldplay concert in Dublin (be sure to come find us and say hello!) or reading this from your front room, you can be part of our global movement. Take a stand with Oxfam by joining our call to action here. And if you’d like to hear more about what’s happening on the day at Croke Park, follow @OxfamIreland, using any or all of the hashtags #ColdplayDublin, #StandAsOne and #RighttoRefuge. Forced migration separates families. It wrenches children from their parents and grandparents, separates siblings, forces partners to live apart, and destroys extended family networks. Over the past months, Oxfam has interviewed people that have been stranded in Greece and asked them to share their experiences during their perilous journeys to Europe and the separation from their family. The right to family life and the protection of the family is a shared value that cuts across cultures. People who were separated from their family talked to Oxfam about the severe impacts separation has on their lives and wrote letters to their loved ones in other EU member states. Abdul from Herat, Afghanistan, hopes to reunite with his wife and son in Germany. 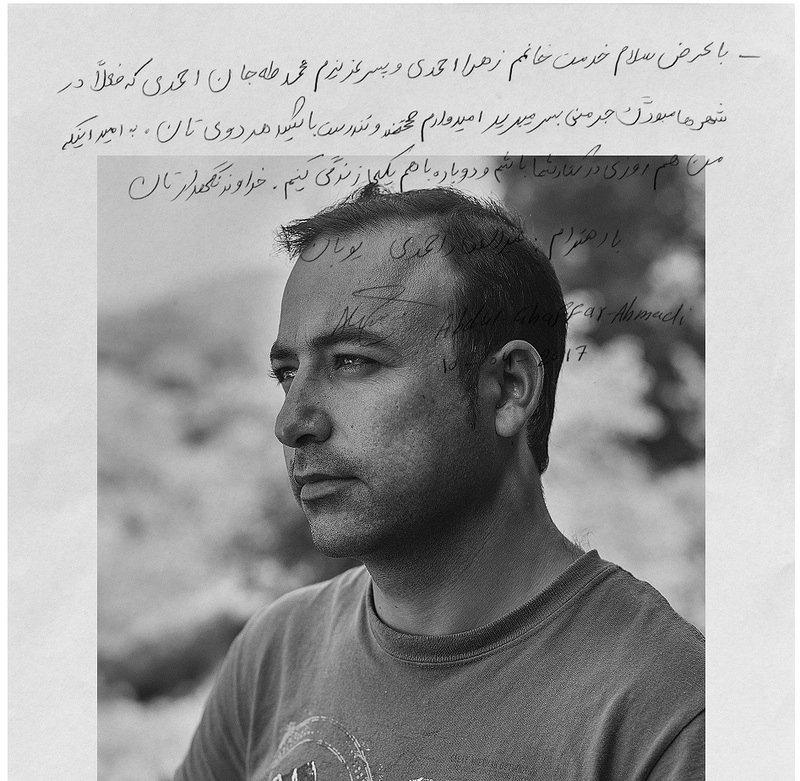 He wrote a heart-warming letter to them, while he waits for his family reunification request to be processed in Epirus. “Greetings to my wife Zahra Ahmadi and to my dear son Mohamad Taha Jan that are now in the city of Hamburg, Germany. I hope both of you are in good health and spirit. I hope one day I will be next to you and once again we live together. May God protect both of you. Najat fled with only a few members of her family from the town of Afrin in Northern Syria, and she now lives in Epirus, in Greece. She hopes to reunite with her oldest son who arrived in Germany in 2016. How are you? How is your health? I am your mother in Greece. Thank God that we are OK, nothing is missing, except seeing you and your brothers. How’s your health, and everything else? The EU and its member states, including Ireland, are failing to protect the right to family life for migrants, including refugees, as the new policy brief of Oxfam ‘Dear Family’ showcases. Their policies and practices are tearing families apart, forcing them to continue living apart after being separated during displacement and exposing people to risks. The ‘MikriPoli’ Community Centre is based in Ioannina, the North-west region of Greece where Oxfam operates. Itwas established in March 2016 by Terre des Hommes and Oxfam, thanks to the support from European Union emergency support funding (ECHO). The centre helps provide cross-cultural communication and simultaneously supports people who arrive in Greece seeking safety and dignity. 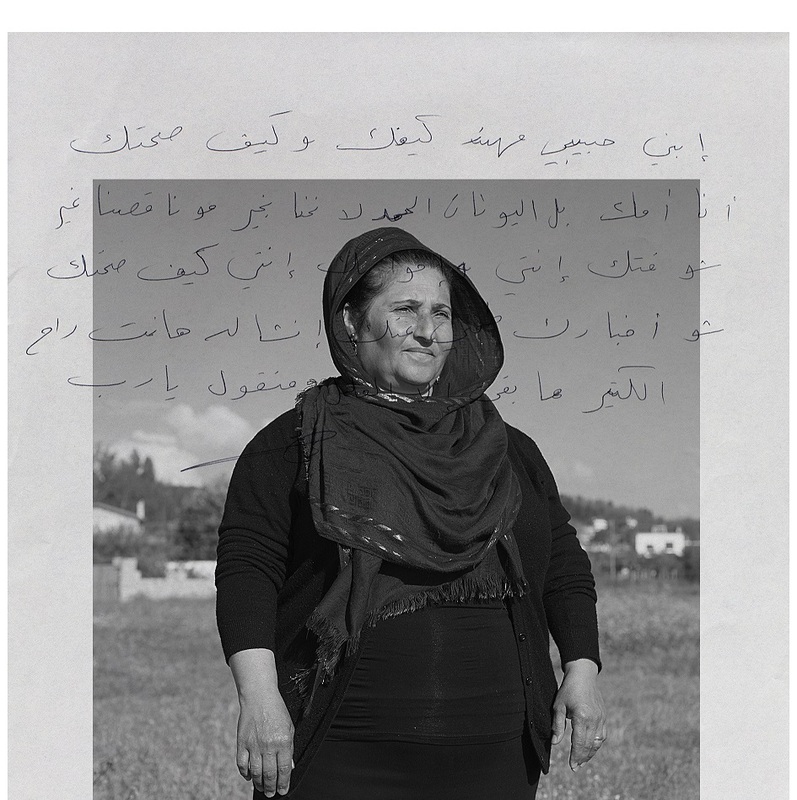 Najat fled with only a few members of her family from Afrin in Northern Syria, to Epirus in Greece. Photo: Felipe Jacome/Oxfam. 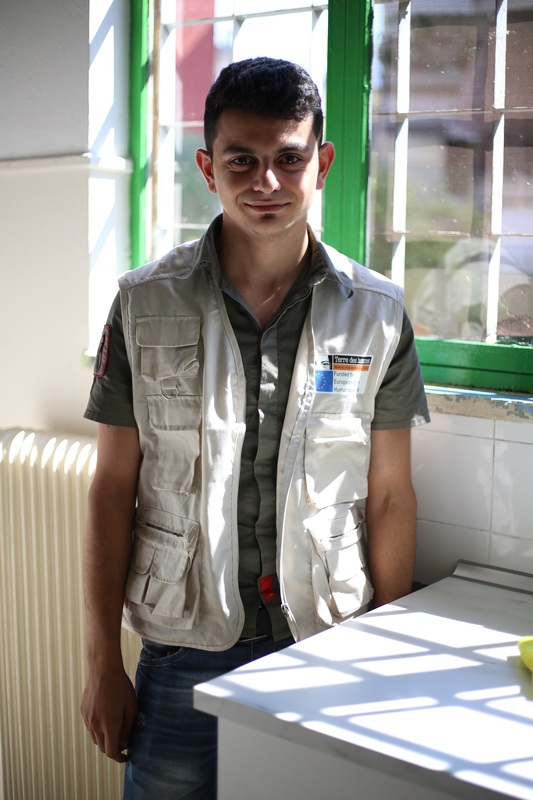 “I am almost 20 and I live in an apartment in Ioannina, working as an interpreter/cultural mediator for an NGO called Terre des Hommes. My main work is in the community centre in Ioannina. “I am in touch with my family, my mum, who has stayed with my little brother back in Syria, my brothers, who are in Germany, and my sister, who lives in a camp in Konitsa. I haven’t seen my brothers for two years and my mum for almost 1 year and a half. My mum and my brother are still in Syria. We couldn’t find a way for them to join us in Europe or even to be in a safe site [in Syria]. Now, they are a bit safe because of the ceasefire in Idlib. But anyway, this is not a permanent solution, it is a painkiller! “Honestly, I miss my mum the most, I miss her hugs, her presence inside our home, her delicious food, and everything related to her. I am still stuck in Greece having a sharp desire to continue my studies in medicine which were interrupted due to conflict and study also about cultures and religions, how they affect each other, and how to approach people from different backgrounds. I want to take the next step and learn a new language and integrate with the society. It is still hard to feel stable. I am worried about the rest of my family and this is a sharp challenge. How will the EU respond to Hazem and so many others like him? As well as working to give practical support to people forced to flee, Oxfam has been campaigning for changes in the law to help people find safe and legal routes to escape from war and persecution, and measures to help families torn apart be united and find safety together. Find out more information about Oxfam’s Right to Refuge – Keep Families Together campaign. You can read Oxfam’s new policy brief on refugee family reunion in Ireland here and the full ‘Dear Family’ report here. 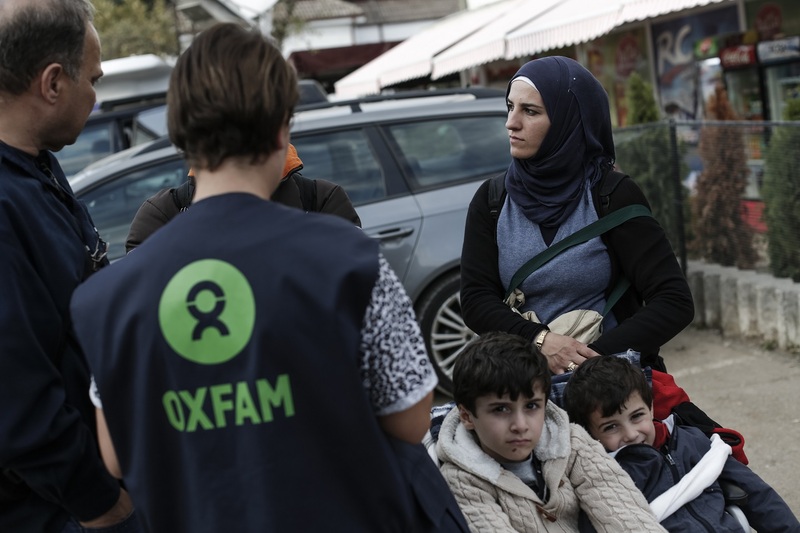 Find out more about Oxfam’s humanitarian response in Greece here.